SAN JOSE, Calif., February 26, 2019 – TeamUC Inc., an ePaper technology pioneer, is pleased to announce its MobiScribe e-Notepad successful launch on Indiegogo! The campaign has raised over $223,000 with over 900 backers and counting. The first batch of MobiScibe’s have shipped, with another batch pending shipment soon. MobiScribe is the first affordable digital paper solution that focuses on productivity without the clutter and distraction of apps. Its advanced technology helps one organize better but also allows one to work in a distraction-free environment. With its greyscale matte screen and organic paper-like writing feel, it is comfortable to read or write on and allows for easy sharing and backup of ideas via a seamless Dropbox integration. With a myriad of preset and customizable backgrounds, including everything from college ruled, to graphing to sheet music paper options, you will never need to carry another notebook again! Furthermore, a built-in .pdf writing editor allows one to make direct edits to .pdfs, reducing the need to print documents. MobiScribe is powered by the Android OS and is compatible with many select Android apps, including popular reader and Cloud storage apps. 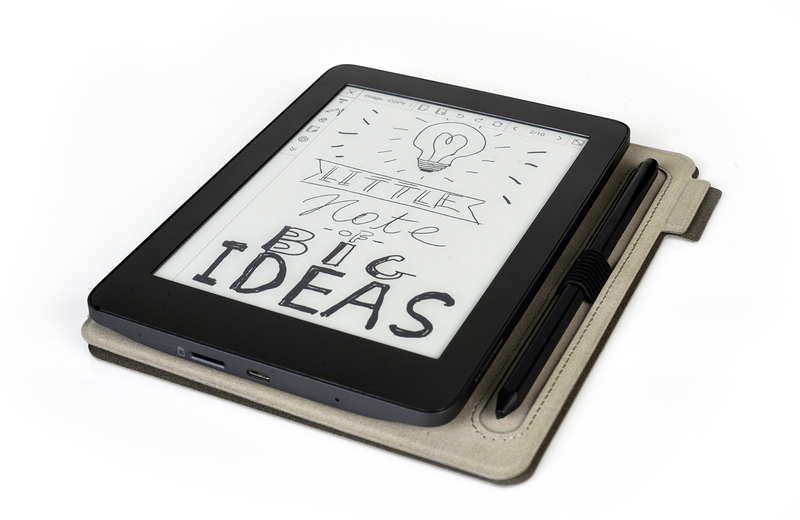 The innovative MobiScribe surpasses its competition by combining the most popular features from the e-reader market today into a versatile package: such as a screen backlight for reading and writing in low light conditions and a herculean battery lifespan for optimum runtime. The Integrated e-reader app (HomeReader3) supports .mobi (amazon's default format), .epub (the most common e-Book format), .pdf, .txt, azw3,. azw, .fb2, .prc and more! The MobiScribe’s value price point and industry-leading performance make it a sensible workflow improvement for those seeking something better. TeamUC was established in the heart of Silicon Valley to provide next-generation technological innovations. The San Jose, CA-based team, has 10 years’ experience delivering cutting-edge B2B technology solutions to many industry-leading companies across North America. The mission of TeamUC is to provide an affordable and highly productive e-paper experience that is open source. All like-minded developers believing that an e-paper experience should not be bound by proprietary software are encouraged to please join the TeamUC campaign to help introduce MobiScribe to the world! TeamUC plans to opensource its e-paper technology and API via a developer’s portal coming soon to http://www.teamucinc.com.